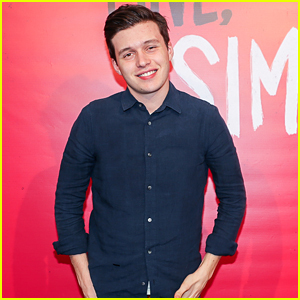 Sponsored Photos, News, and Videos | Just Jared Jr.
Maia Mitchell, Cierra Ramirez, & Emma Kenney Check Out 'Love, Simon' at Just Jared's Special Screening! 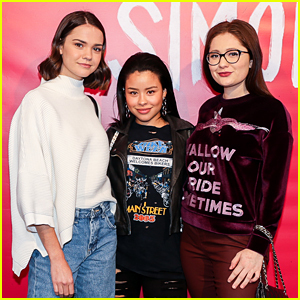 Maia Mitchell, Cierra Ramirez, and Emma Kenney pose for a cute photo together while attending a special screening of Love, Simon hosted by JustJared.com on Sunday (January 14) at The London Hotel in West Hollywood, Calif.
Also in attendance were Courtney Eaton, Life in Pieces‘ Hunter King, and Bratz actress Skyler Shaye. Maia and Cierra star together on The Fosters and will soon work together again on a spin-off series! The screening was attended by the film’s star Nick Robinson and director Greg Berlanti, who participated in a Q&A moderated by our editor-in-chief Jared Eng. 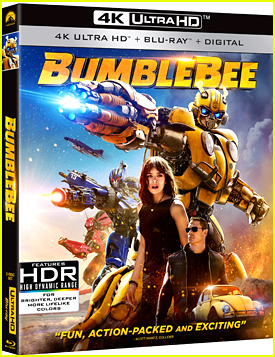 The film hits theaters on March 16 and is one of the few major studio films to ever feature a gay character in the lead role. 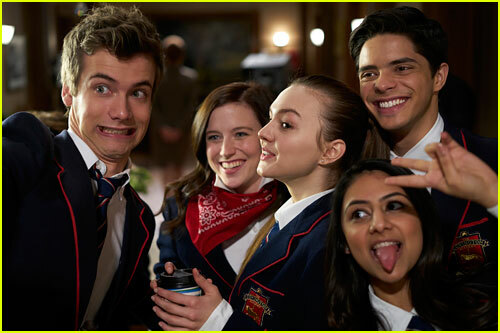 Are you as obsessed with Nickelodeon’s new show, Ride, as we are? We caught up with the cast and learned that as much as we love what’s happening on screen — horses, high school drama and hot boys — so much happens when the cameras aren’t rolling. 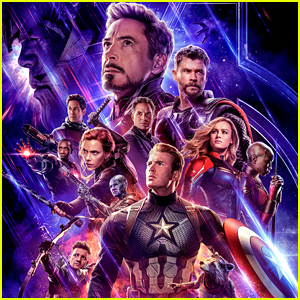 From unexpected moments that make it into the show to a horse that literally picks your pockets, the cast gave JJJ behind-the scenes stories they’ve never told anyone before. Check Out Nickelodeon's New Show 'Ride'! Be prepared to fall in love with Nickelodeon’s brand new series,�Ride! Debuting tonight on Nickelodeon, the series stars�Kendra Leigh Timmins,�Jonny Gray,�Oliver Dench,�Alana Boden,�Manuel Pacific�and�Rameet Rauli. The show centers on the adventures of Katherine “Kit” Bridges (Kendra) when she and her dad, Rudy, move to England for his new job at The Covington Academy, an elite equestrian boarding school. Um, imagine if riding horses every day was actually required to graduate. Yes, please! Thing is, Kit is terrified of horses AND she has to deal with fitting in at a brand new school. Lucky for her, Kit will be able to handle any challenge she faces thanks to her new friend, TK� who just so happens to be the most stubborn and difficult horse at the Academy. You can watch the first episode of Ride tonight on Nickelodeon @ 8PM. 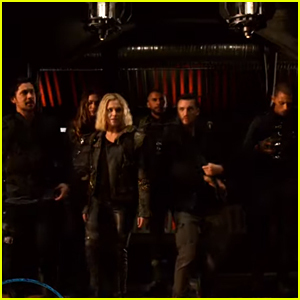 Check out the show’s teaser here! 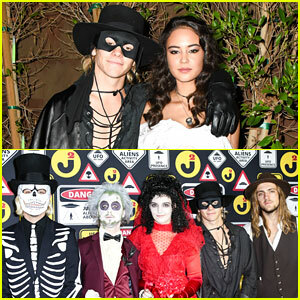 The bandmates of R5 – Riker Lynch, Ellington Ratliff, Rydel Lynch, Ross Lynch, and Rocky Lynch – pose for a group photo together while walking the red carpet at the 2016 Just Jared Halloween Party on Sunday (October 30) at Tenants of the Trees in Silver Lake, Calif.
Ross was joined by his girlfriend Courtney Eaton while Riker brought along girlfriend Savannah Latimer. Don’t you just love Ross and Courtney‘s Zorro costumes?! Also in attendance at the party were Jake Paul, singers Jake Miller and Spencer Sutherland with Madison Iseman, and comedians Matt Rife and Kevin Miles. Guests at the event had a variety of Suja organic juices to choose from throughout the night!